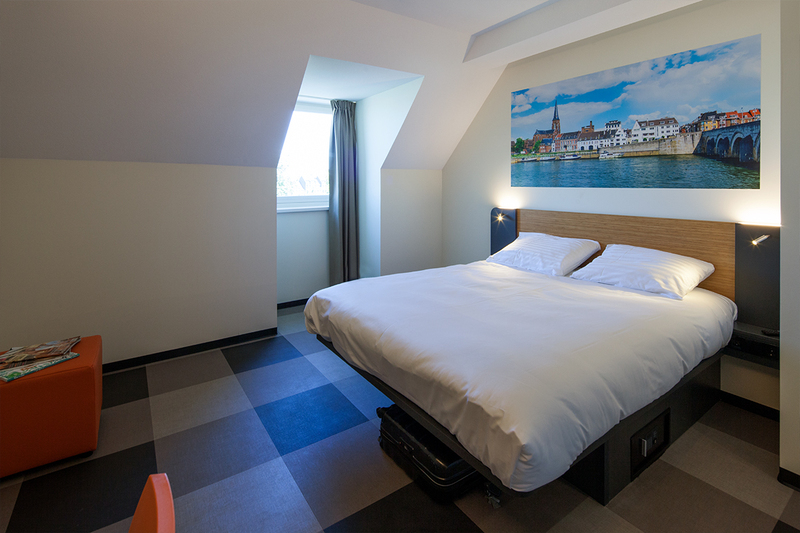 easyHotel Maastricht City Centre is located in the South-East area of The Netherlands, with rooms that offer a beautiful view of the Maas river and the historical city. 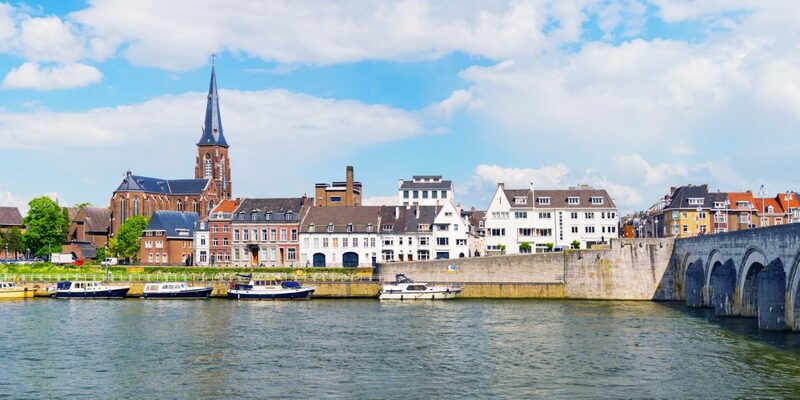 Being so close to Vrijthof, hotspots and the shopping centre, you’re never far from a range of options to experience the city that suits your budget. 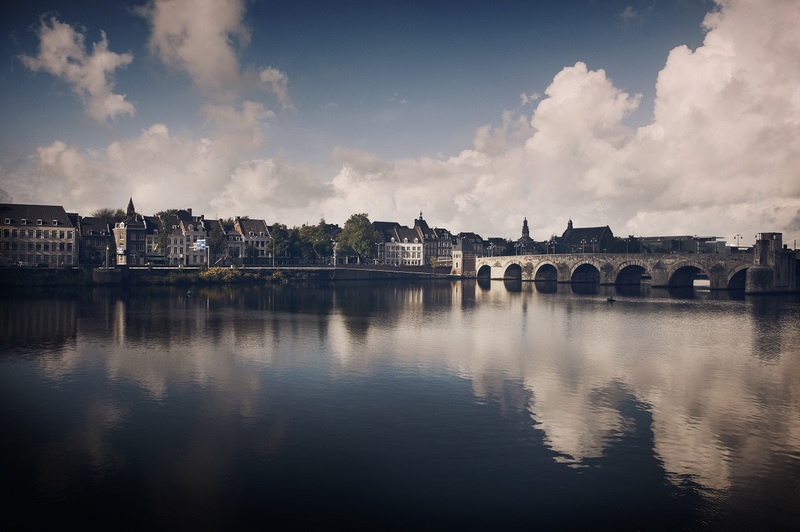 The monumental buildings & shopping area merge perfectly while discovering the city. 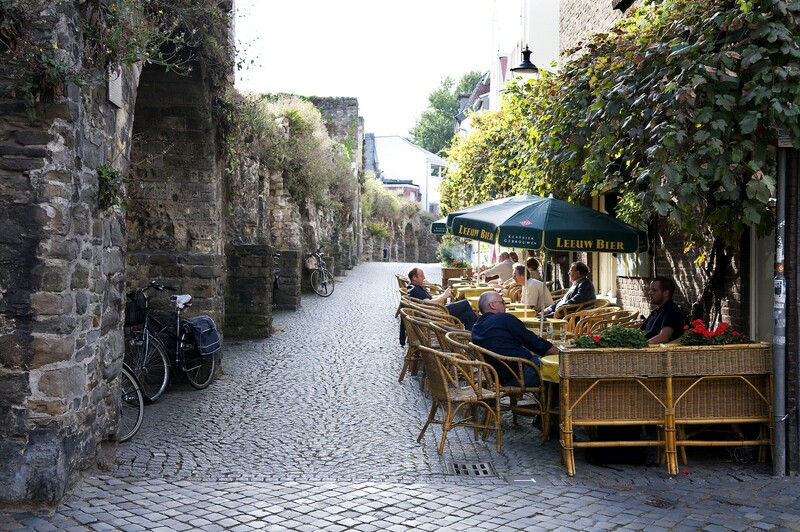 Visit the famous Vrijthof, which is well known for its monuments, various cultural facilities, a large number of bars & restaurants and the events that take place regularly. 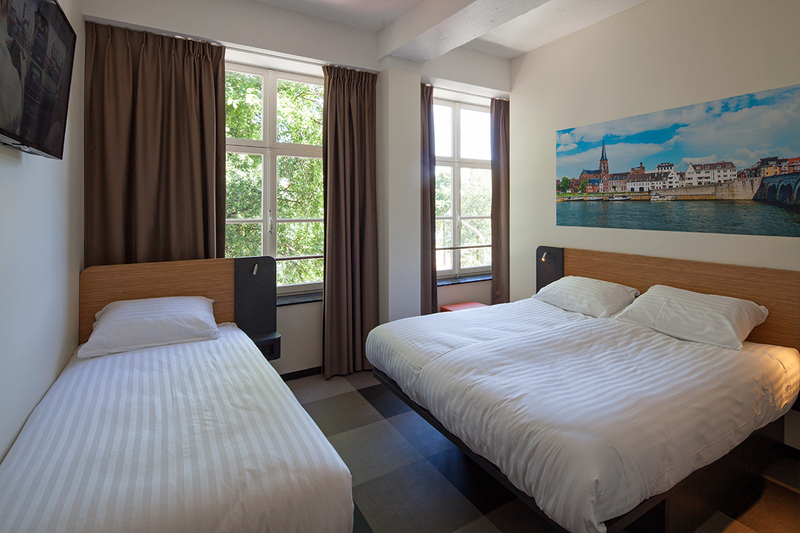 The hotel offers comfortable rooms with private bathroom facilities, air-conditioning and WiFi. 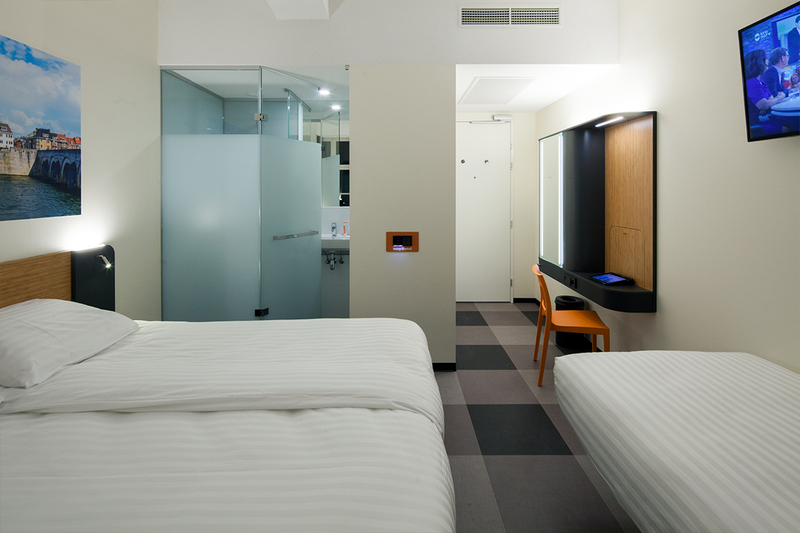 The superior rooms are upgraded with a wired internet solution, a laptop safe and additional room space. 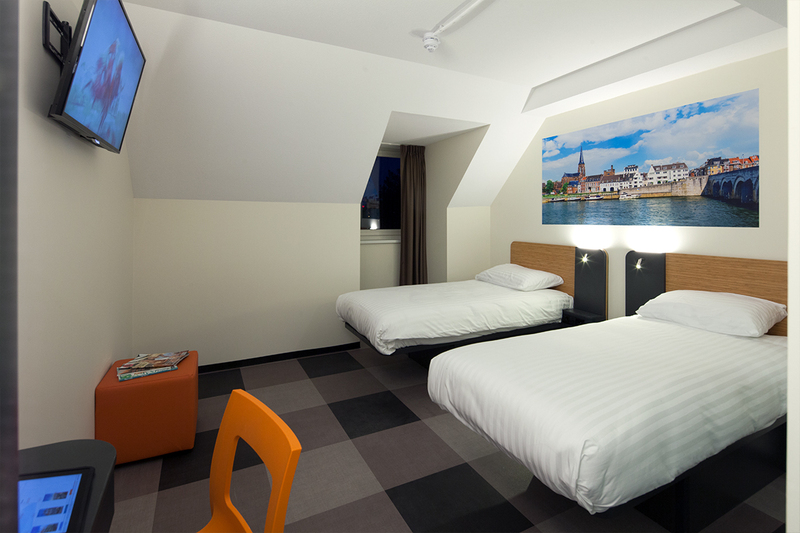 It is a perfect choice for tourists as well as smart business travellers. You can enjoy breakfast, lunch or dinner at one of the many establishments in the vicinity of the hotel. 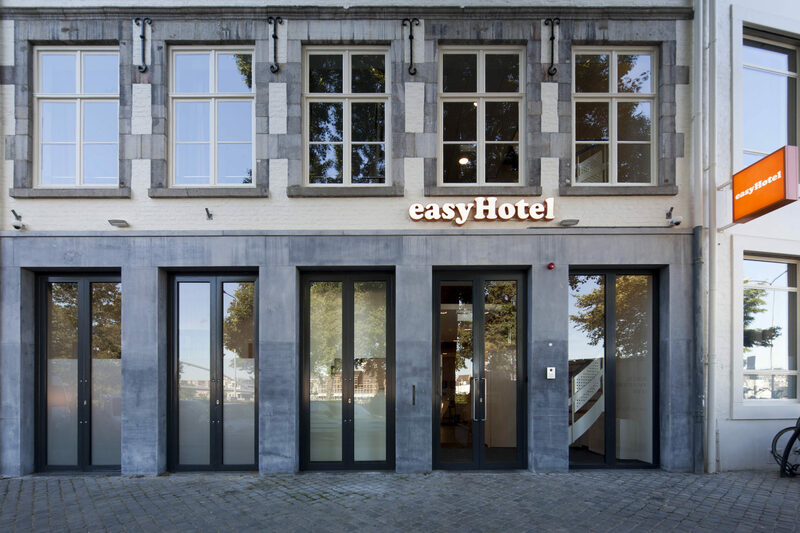 easyHotel guests get special discounts up to 25% at restaurants & bars in the area. Ask the staff at the reception for more info. All our rooms are fully air-conditioned, furnished with excellent quality beds, modern bathrooms, and equipped with a television and fast internet. You can choose from 6 roomtypes such as a double room, twin bedded room, family triple room or superior family quadruple room.